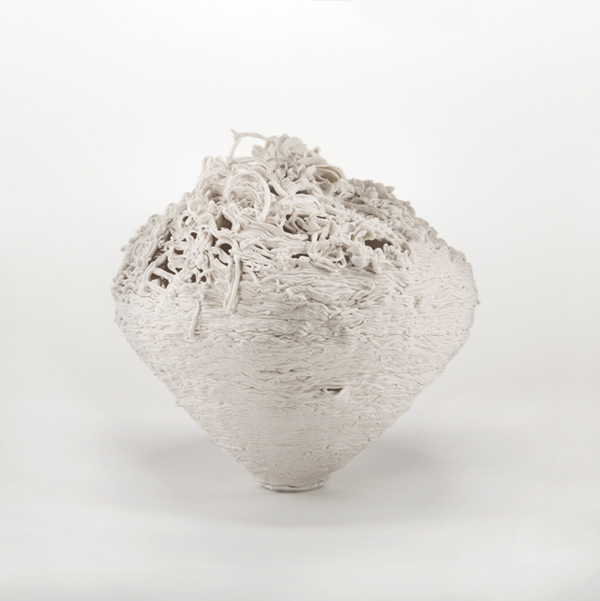 ELISSA CRISTALL GALLERY is pleased to present an exhibition of four artists: Rachael Ashe, Aurora Landin, Alwyn O’Brien, Amanda Wood who are working in paper, textile, ceramic and print. The exhibition is curated by Lesley Finlayson. 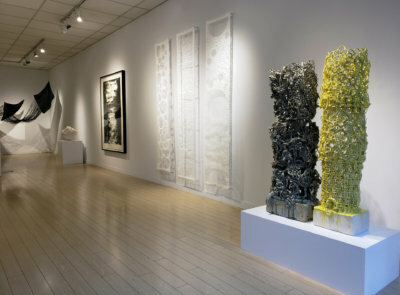 “In a world of artifice easily facilitated by user-friendly technology I curated this exhibition to present art in which the works elegantly manifest the artists’ discernment, understanding, and knowledge of techniques which are critical to their practices. The skills involved are physical, intellectual, psychological and emotional, combined with a multi-layered and highly specialized familiarity with a range of materials, hand tools, and equipment developed over centuries. Rachael Ashe is a graduate of the Creative Photography program at Humber College, and is self-taught in papercraft and installation work. 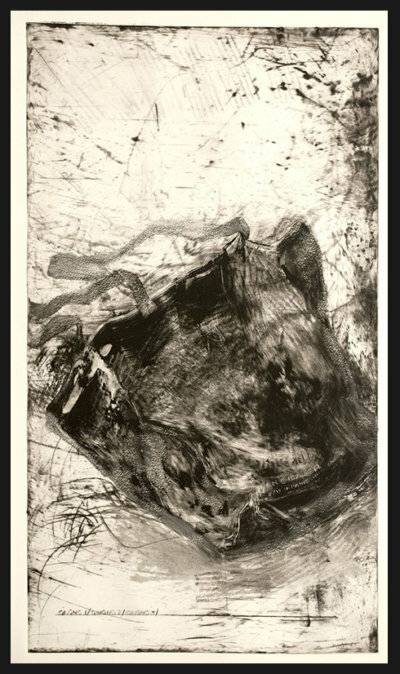 She credits her former position as a photographer at the Textile Museum of Canada, and the extensive exposure to handcrafted textiles it allowed, as a major influence on her work with paper to this day. 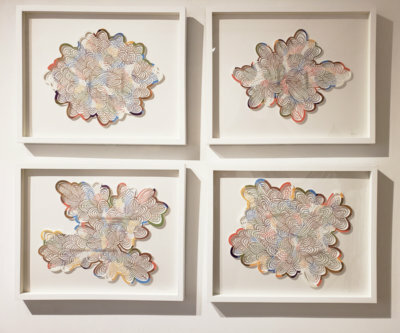 She has exhibited across Canada, the US, and the UK, as well as been published in Uppercase Magazine, Design Genius, and Paper Play. 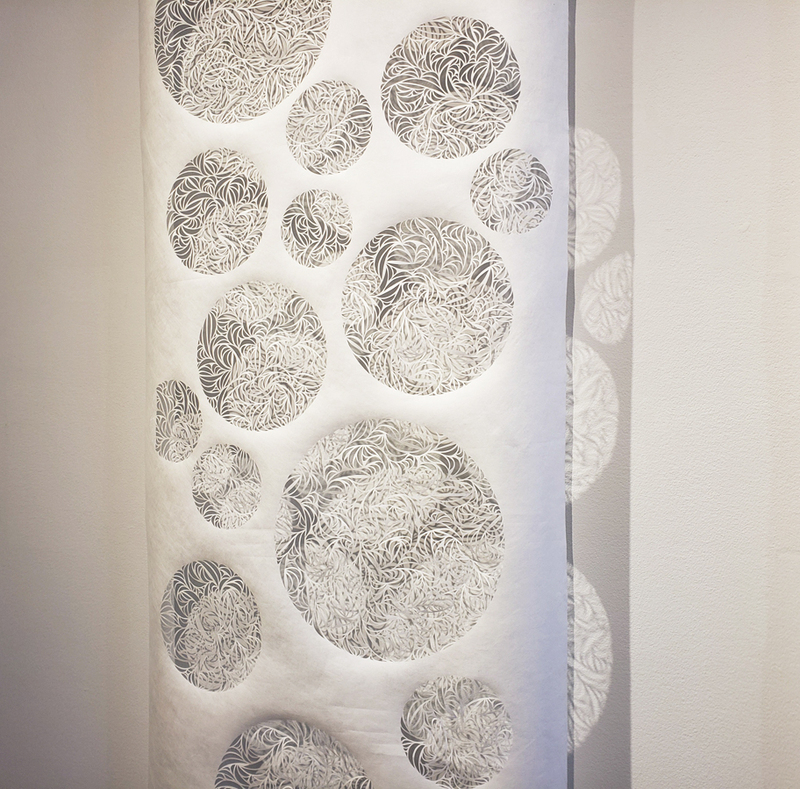 Aurora Landín is a Mexican/American/Canadian whose work ranges from drawing and painting to installation and traditional printmaking. Landín received a Diploma of Art and Design from Red Deer College, a BFA from the University of Calgary, and an MFA from Washington State University. In addition to a long working association with galleries and other arts organizations, Aurora has taught in a number of institutions including the University of Manitoba, the Alberta College of Art and Design and currently, Langara College. A recipient of various grants and awards, her work has been shown and collected through numerous solo and group exhibitions in Canada, the United States, Mexico, Italy and Poland. Alwyn O’Brien was born on a rural property on Salt Spring Island, B.C. to a family of makers and gardeners. Her ceramic practice has taken her across Canada, studying at Capilano College, Sheridan College, and Emily Carr University. She completed her MFA at the University of Washington in Seattle, Washington, 2010. 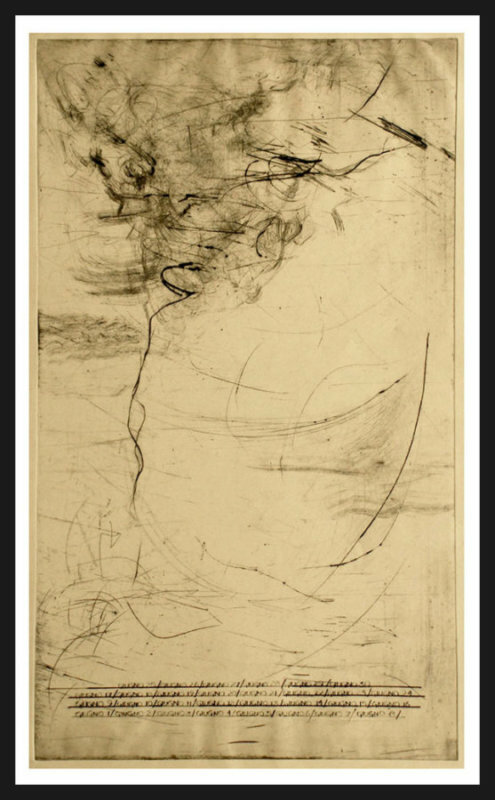 Her work has been shown nationally and internationally, and is held in Museum collections in Canada and the U.S including the Seattle Art Museum, WA, Boise Art Museum, ID, the Surrey Art Gallery, BC and the Mackenzie Art Gallery, SK and private collections. In 2015 she was the recipient of the Winifred Shantz Award for ceramics. She currently divides her time between Salt Spring Island and Vancouver, where she is an Instructor at Langara College. 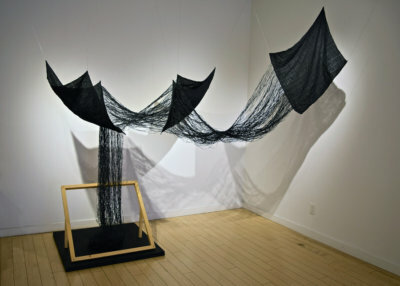 Amanda Wood’s primary medium is weaving using traditional weaving techniques and tools within a contemporary framework. Amanda is fascinated by cloth as a historical document, a marker of growth and connection, and as a means of communication. 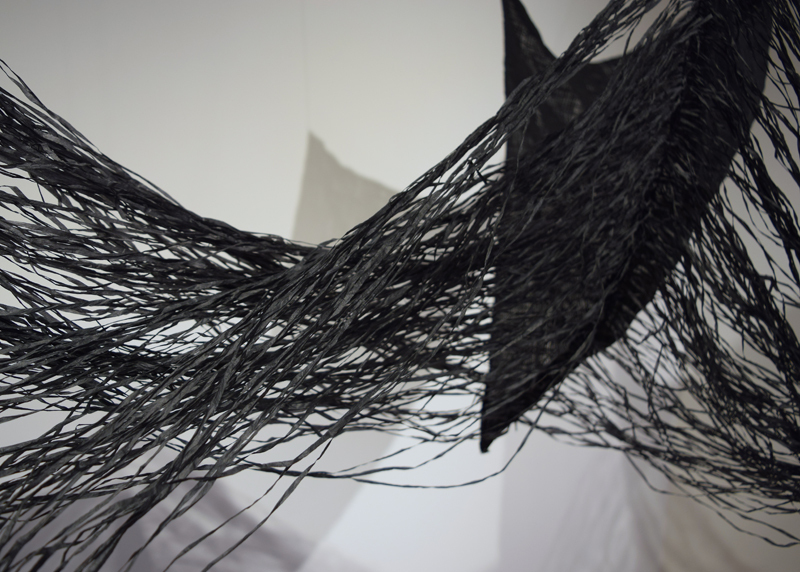 The versatility and strength of plain weave and natural fibres are often found in her three dimensional structures. 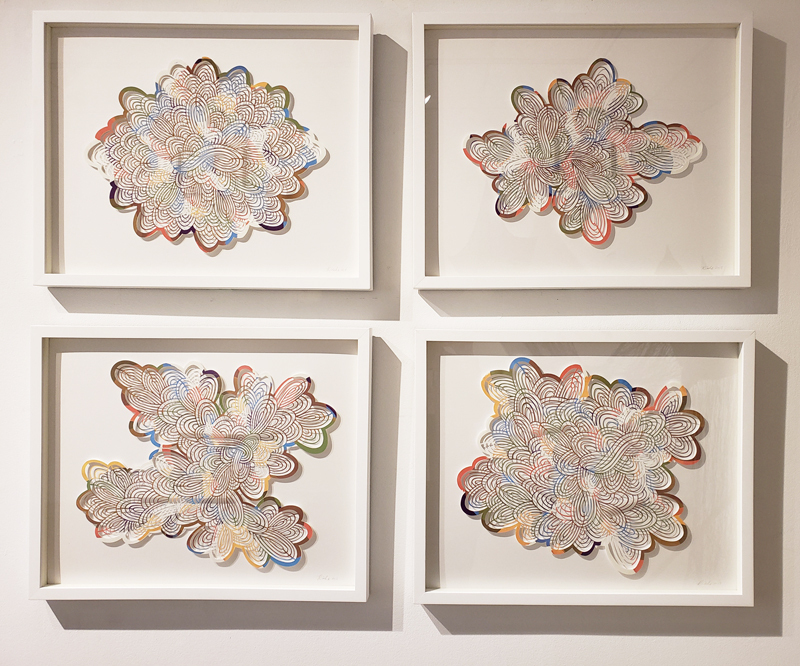 Amanda has a BA in Communications from SFU and a diploma in Textile Art from Capilano University. 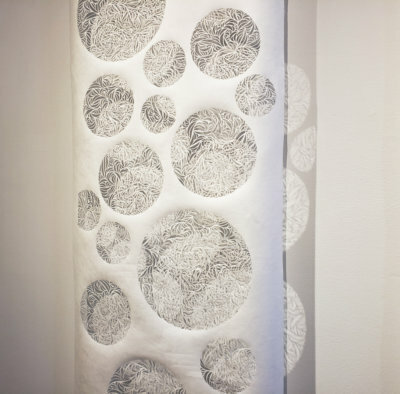 Her work has been shown across Canada and has been published in Uppercase Magazine and in the book Strange Material: Storytelling Through Textiles. 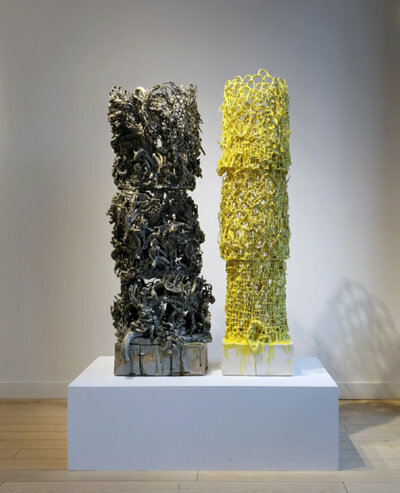 Lesley Finlayson (curator) was born in Scotland and graduated with honours from the Glasgow School of Art, Glasgow and received her MFA from the University of Calgary, Calgary AB. She is the former Department Chair and Instructor, Fine Arts, at Langara College in Vancouver, BC and is now a full-time painter. Finlayson has had numerous solo exhibitions in Canada and the United Kingdom. 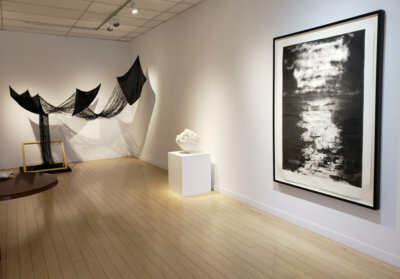 Her work is in corporate and private collections in Canada, Europe and the United States.